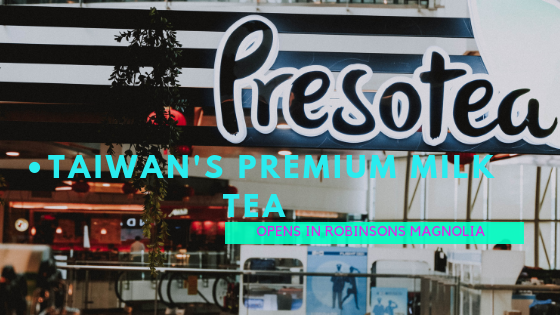 Home > Food > Presotea Starts Brewing in Robinsons Magnolia! Ahh, milktea! Bless the day it was invented. Or rather, that day when some enterprising businessman decided he could flood the streets with it and the public will be grateful. 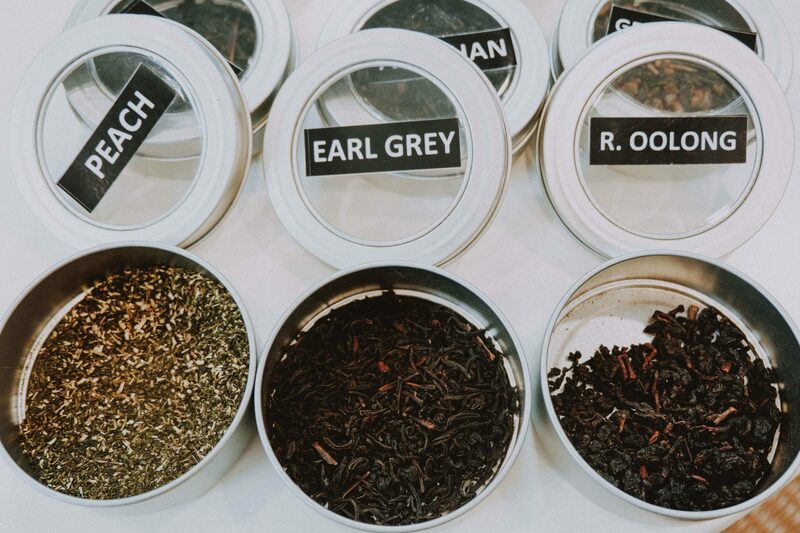 Today, milk tea shops can be found almost everywhere, with new names and flavors popping up all the time. 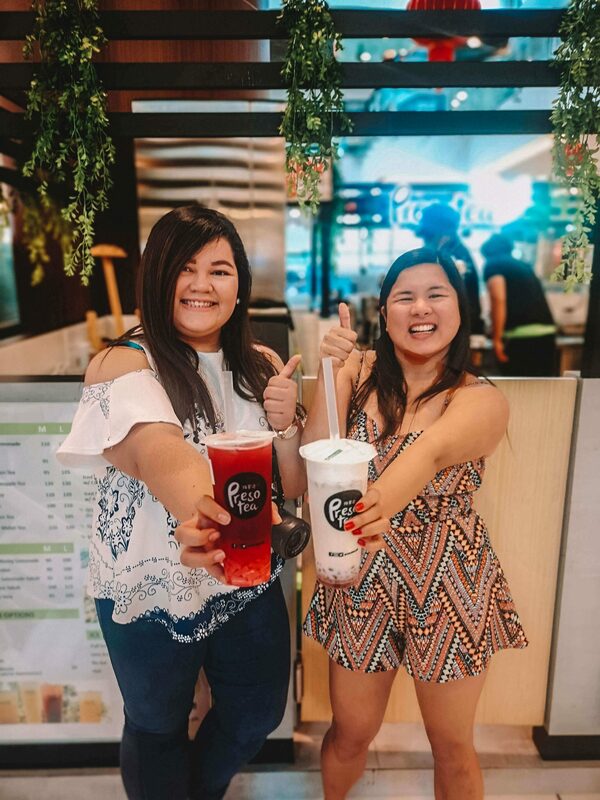 Tina and I are huge milktea fans. She, especially. She’s that type who can’t set foot outside without heading in a beeline towards a milk tea place. During our trip to Taiwan, for example, she went crazy trying all those different types of milk tea! This happened again as we were going around the US, and she infected us both with cravings for Boba milk tea. Now, something just happened to feed our milk tea addition even more. 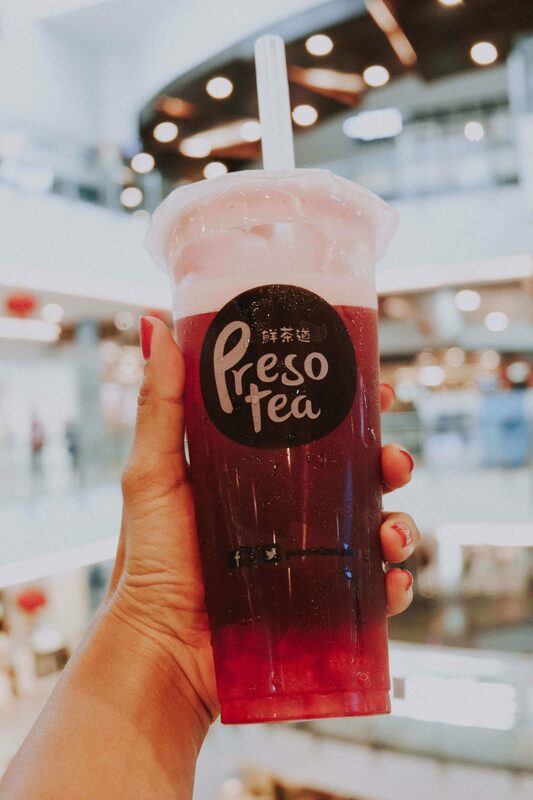 Presotea, an original Taiwanese brand, has made its way to the Philippines! 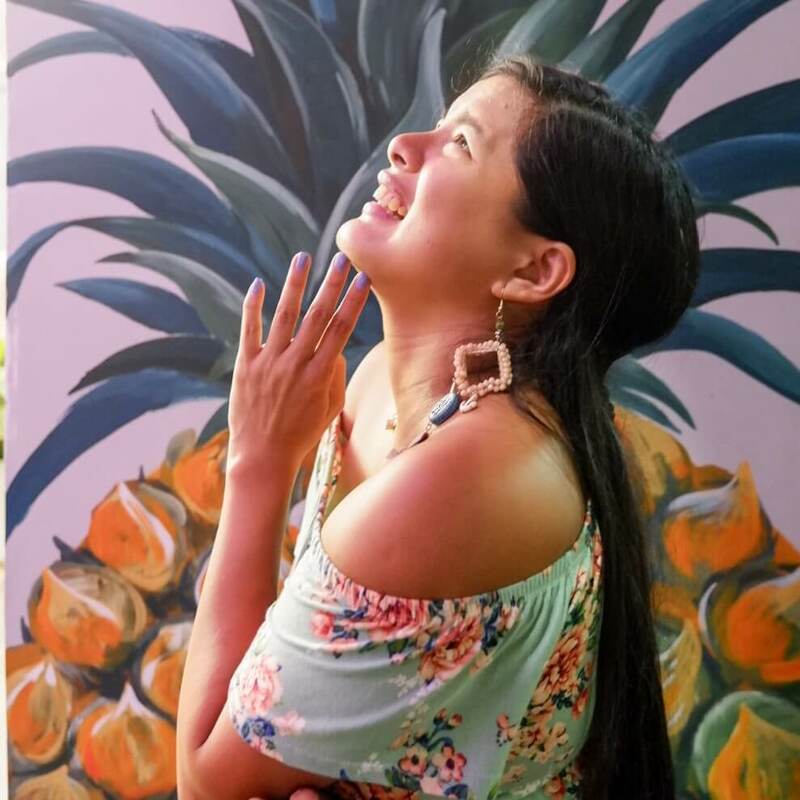 Its newest branch just opened in Robinsons Magnolia, and of course this is something we can’t miss. 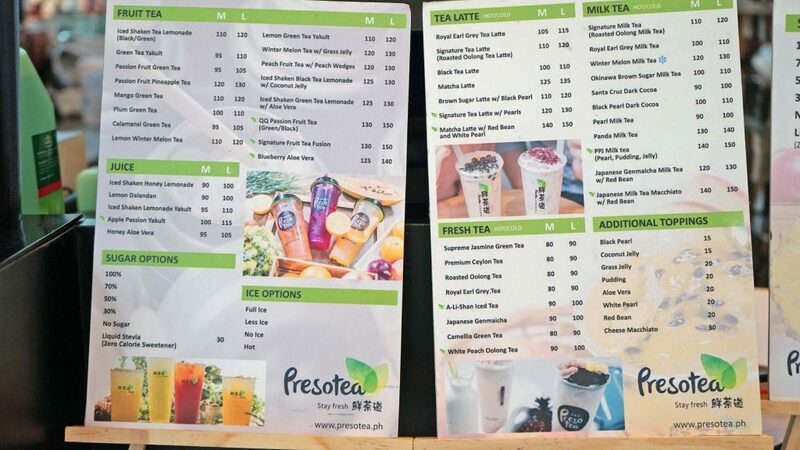 Now, before you start yawning and thinking “just another milk tea shop”, let me tell you more about Presotea. 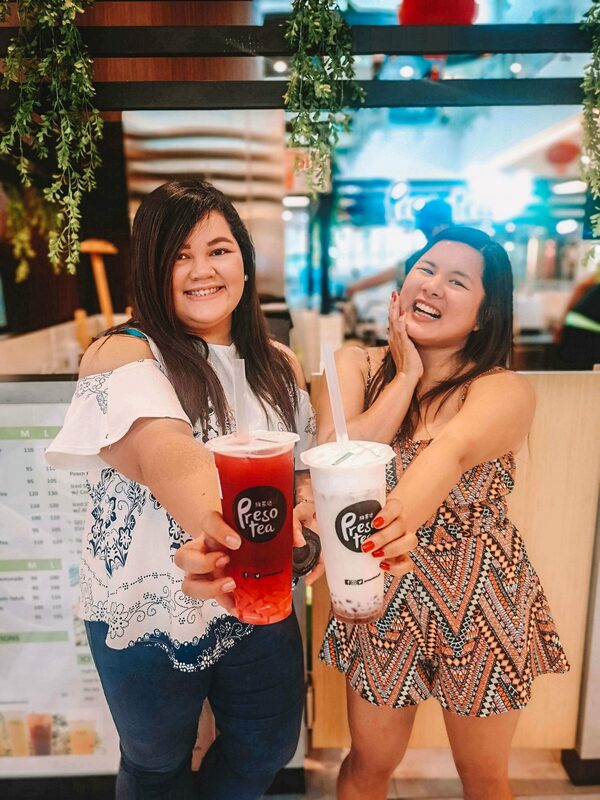 It is among the pioneers of the milk tea industry, introducing the first premium brewing process that results in a blend finer than all the rest. 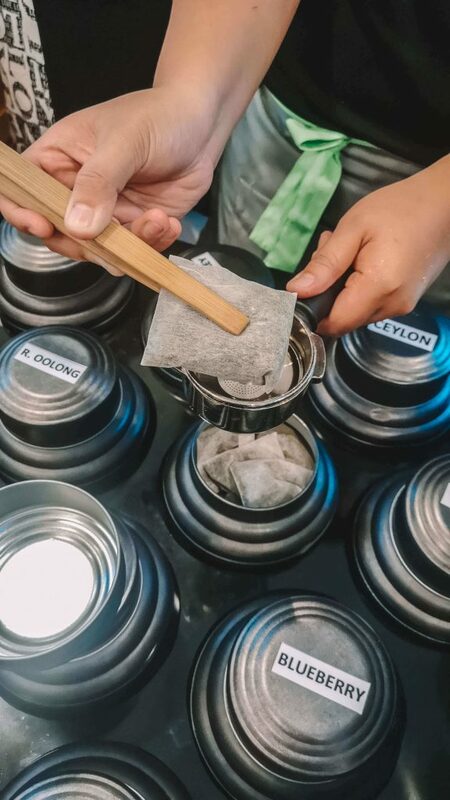 They use a special espresso machine (hence “preso” in the name) for this, a fusion of Western technological capacity and the Eastern tea tradition. That means actual tea leaves, no powder. 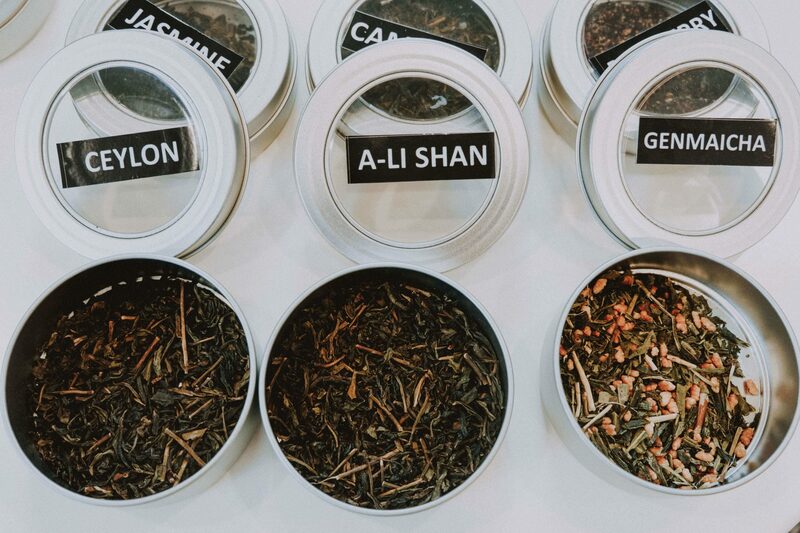 And yes, just like you won’t see any batch-brewed coffee in Starbucks, you won’t see any batch-brewed tea here either. 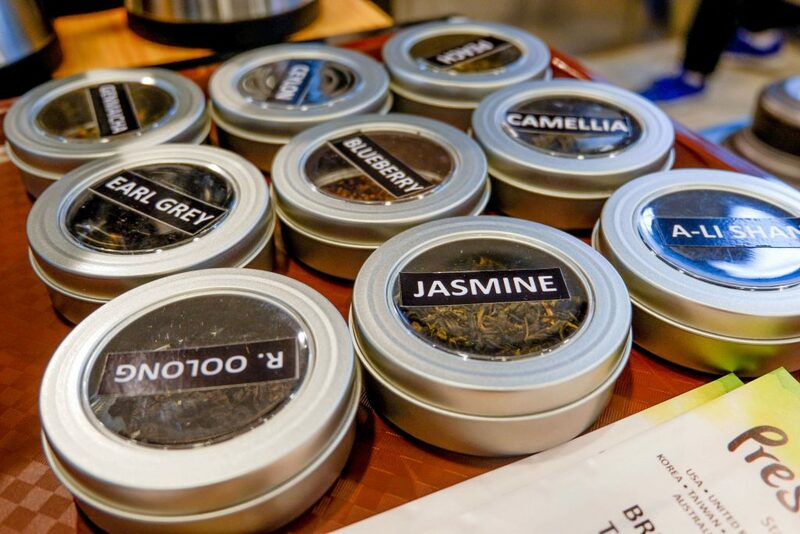 Each order is brewed to order individually. How’s that for special? 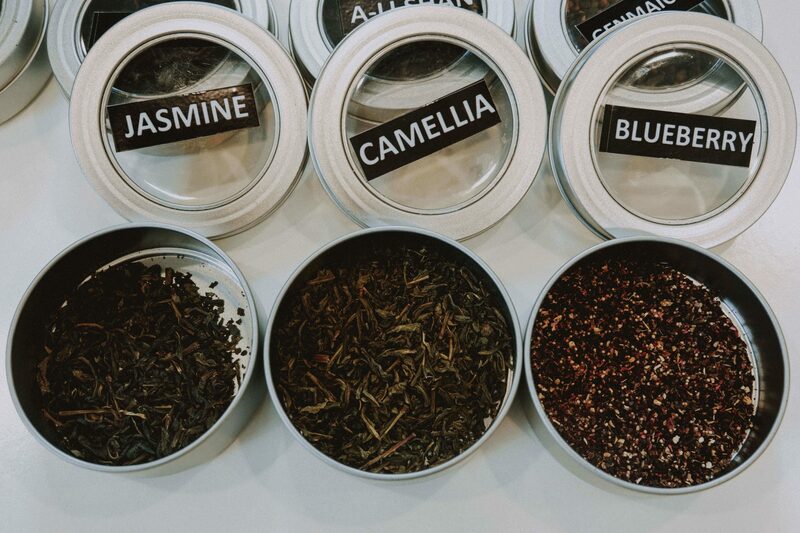 We headed over to Magnolia to see how Presotea is doing in its new home. We sampled ten of their best flavors (yes, ten) and I can still hear myself saying “wow, that’s good!” to each of these! I was trying to decide on a favorite flavor, and found it extremely hard to decide. That was just until I hit the Japanese milk tea with red bean, though. You know, as they say, “you know it’s right when it’s right”. The flavor had strong hints of roasted tea, which was an absolute hit for me! Tina, on the other hand, preferred the (more exotic) blueberry with aloe vera blend. It was my first choice too, until the Japanese milk tea with red bean blew me away. All in all, though, all flavors were really refreshing. I dare you to try what we did — I’m pretty sure you’d be stumped on choosing a favorite as well. 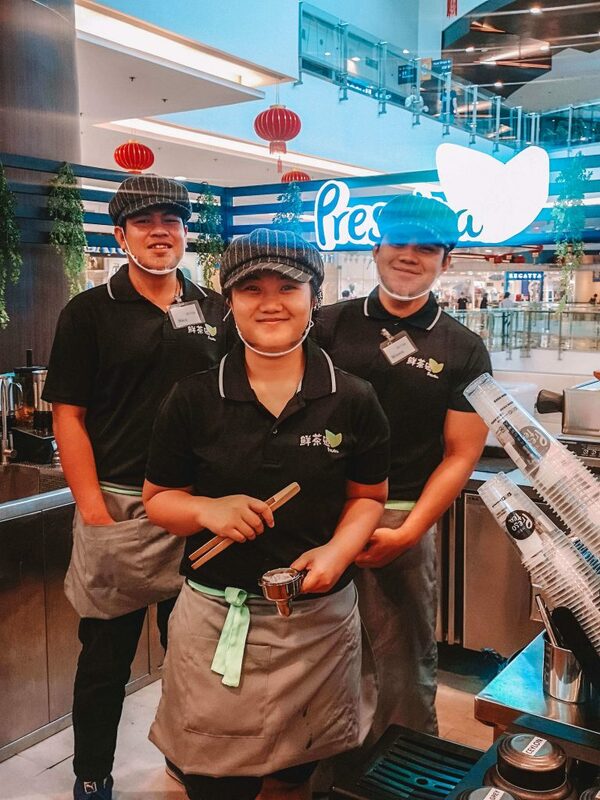 Presotea has gone a long way from its founding in 2006. Now, it has more than 300 stores across several countries including China, Australia, and Canada. 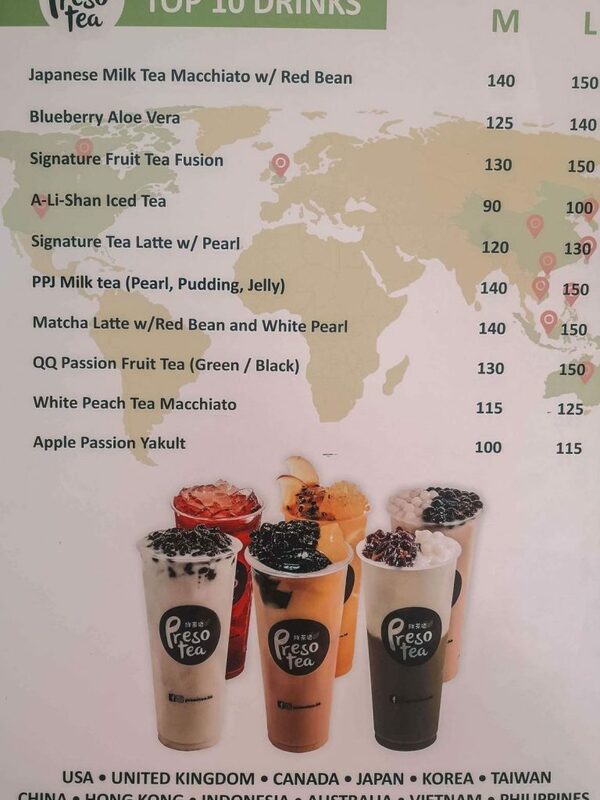 And considering its price range doesn’t deviate much from the more established milk tea shops here (around PHP 150 for a large cup) Presotea should be an instant hit in the Philippines, too. 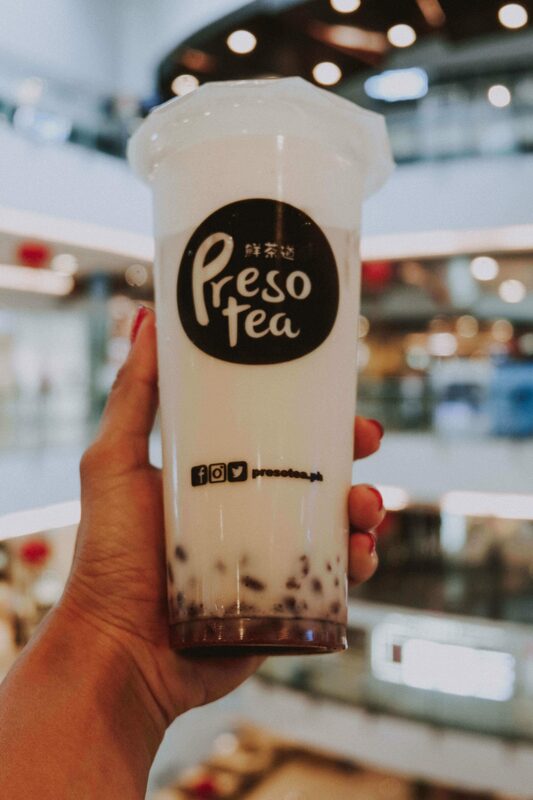 If you’d like your next cup of milk tea to be something really special, then Presotea is a must. Maybe you’re coming in for the reputation (and the really extensive set of flavors) but you’ll be staying for the quality.